A study conducted by John Hopkins University reveals that a natural substance found in broccoli can reduce erythema (redness of skin) and cell damage caused by the human carcinogen, UV radiation. Sulforaphane (SF) is found in edible plants such as broccoli, brussel spouts, and cabbage. 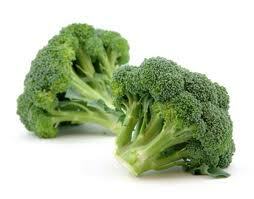 Broccoli shows the most promise in preventing skin cancer because of its high concentration of sulforaphane. The body already has a mechanism to help protect itself against damage, including UV radiation. The Keap1–Nrf2–antioxidant response element (ARE) pathway is responsible for producing cytoprotective (phase 2) proteins that fight against oxidants and electrophiles present in the body. UV exposure causes lipid peroxidation and the formation of oxygen and nitrogen intermediates that can react and disrupt normal processes. The study, conducted on human test subjects, provides more accurate data because the subjects are representative of the population. Most studies involving cancer research are conducted on laboratory rats, hairless in most skin cancer studies. However, only six individuals participated in the research study. The number of participants reduces the ability of the study to be generalized and the results of each individual weigh heavily on the overall result. For this reason, while sulforaphane may show potential, an evaluation of the study itself shows the results to not be very reliable. It does make sense though for sulforaphane to be a good substance in cancer prevention. Cancer cells proliferate from up regulation of oncogenes. Therefore, by targeting gene expression in a beneficial way, it is logical that up regulation of the body’s natural defense mechanism genes is possible. As more studies are conducted on sulforaphane, scientists hope that a protective lotion can be created containing sulforaphane. The lotion would be safer in regard to chemicals than typically marketed sunscreens.